I'm hoping to start a few new mobile game projects this coming week. This means I get to encounter more development challenges and share them with you. So stay tuned for more. I also probably need to update the old tutorials for the new version of the NetBeans IDE so new comers can follow. I recently discovered that sometimes the map gets partially hidden after being cropped and would look like the map size got screwed up. This gave me a lot of headaches. This was fixed in this version including some inconsistencies between the scrollbars visibility and the maps position. Fixed crop map function to reset the map position after being cropped. The tileset panel now hides tiles where the index is over the 255 limit. 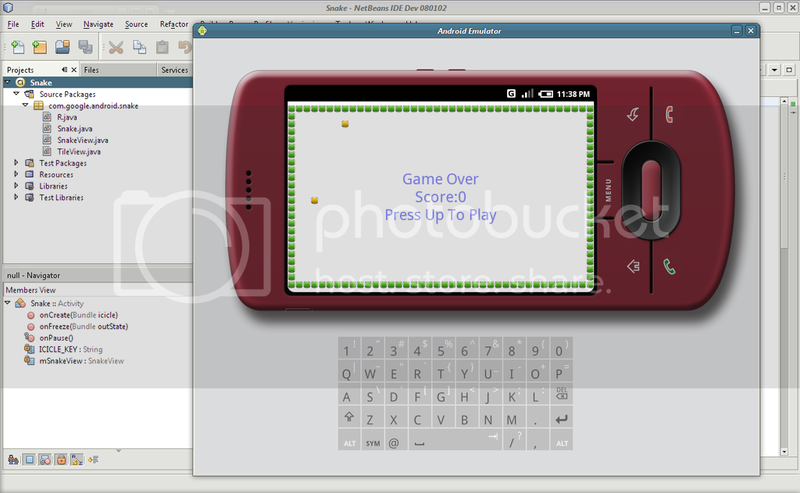 The Undroid is a plug-in for NetBeans which allows you to work on Android applications using the NetBeans IDE. You can find more info from the Undroid Project Website. I've been waiting for something like this for quite some time now. Actually, I've been waiting since the Android SDK was released to the public. Quite frankly, I hate jumping between IDEs while working on different projects and if possible would like to have everything in one neat package. This is definitely one more step in the right direction. As always, if you encounter a bug or if you thought of a way to make it better, please don't hesitate to leave a comment. This version is significantly more stable than the previous versions. Several improvements have been made to make it more presentable and user-friendly. So if you're already using a previous version, I highly recommend updating to this one. The block map data mode allows you to define extra byte data to each map tile. Although the block map data was primarily intended for defining tile weight look-up tables, you can use it for pretty much whatever you want. The block map data is saved on a separate file with the same filename as the SMP but with the extension ".BMD". The BMD file itself does not contain the map width, map height, tile width and tile height which you can already get from the SMP file. The contents of the BMD file should be read the same way as the map data in the SMP file is read. There is currently no option to exclude the BMD file when saving the map (in other words...I forgot to put it there, sorry). Although, you can always request for a certain feature that you absolutely need (no map layers pls. heh). After examining the map data, I noticed that the map width and map height for maps larger than 256x256 were being saved as 32 bit integers, doh! So consider this as a service release =P. SimpleTileMapEditor1.1.0.15.zip (538.38 KB) - Download it. If you don't know what it's all about, you can head over to this post for a primer: Simple Tile Map Editor. Removed support for integer map dimensions (4 bytes) and replaced it with WORD map dimensions instead (2 bytes). Modified the "New Map Dialog" to reflect the change. You can still open the old maps that have integer map dimensions with this version. 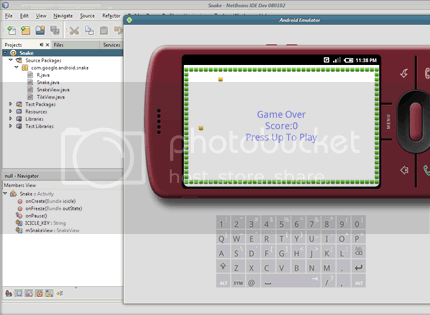 But the map will be saved with the map width and map height as WORD values (2 bytes) instead. Your program can determine if it should read word values or byte values for the map width and map height by first checking the 8th byte. It should contain the ASCII character "B" for BYTE and "W" for WORD. The rest of the map data including tile width and tile height are still in bytes. You can learn more about the format information in the Simple Tile Map Editor page. SimpleTileMapEditor1.1.0.14.zip (539.88 KB) - Download it. If you don't know what it's all about, you can head over to this post for a primer: Simple Tile Map Editor page. Your program can determine if it should read integers or bytes for the map width and map height by first checking the 8th byte. It should contain character "B" for byte and "I" for integer. The rest of the map data including tile width and tile height are still in bytes. 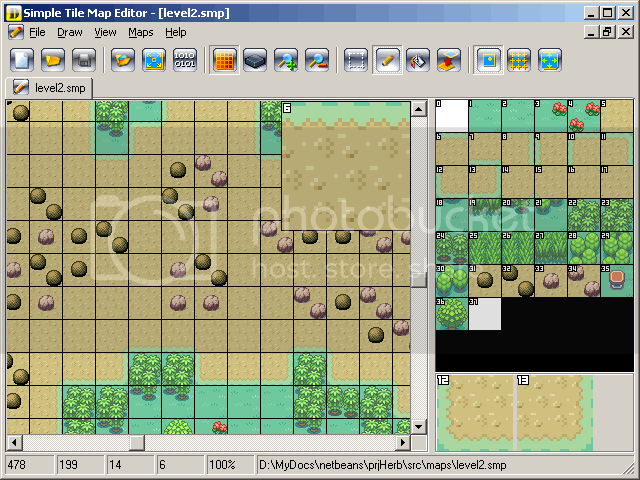 You can find the complete format information in the Simple Tile Map Editor page. Btw, if Kylix was still alive, this wouldn't be for win32 only XP. Anyway, I hope you have a more productive year and lot's of luck!